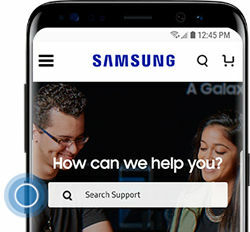 Bixby: How do I use the Bixby key? One key, two functions. You can use the Bixby key to access Bixby Home from the lock screen or the Home screen, or press and hold the Bixby key to access Bixby Voice from any screen. ➥ Press the Bixby key while on the lock screen to access a limited view of Bixby. ➥ With your Galaxy smartphone unlocked, press the Bixby key and you'll be directed to Bixby Home, no matter what app is opened. 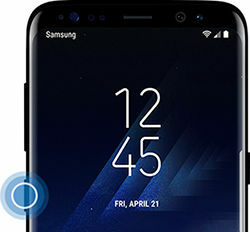 ➥ Press and hold the Bixby key to access Bixby Voice.